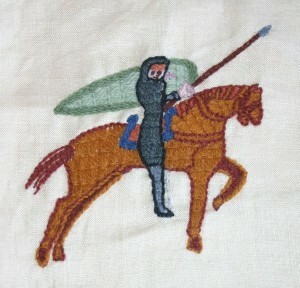 I have taught several Bayeux Tapestry classes at Pennsic and locally. I like the stitch, as it makes quick work of an area that needs to be filled. For some reason I have either given away most of the pieces I have made or the house has eaten them. In any event I only have one picture.